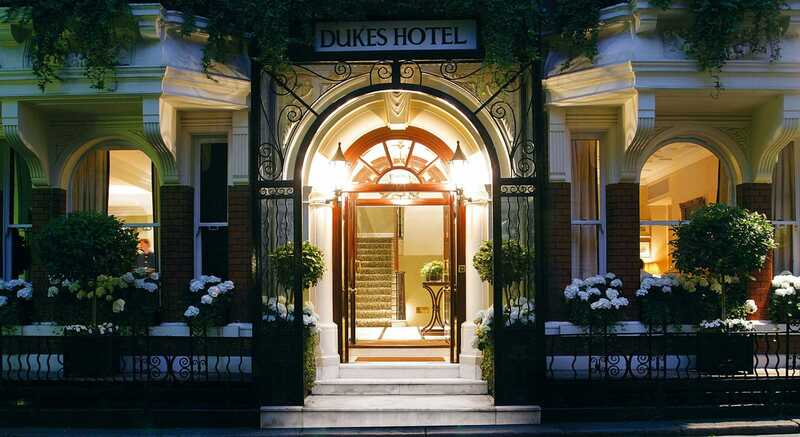 A mere stone’s throw from luscious St James’ Park, nestled in the heart if London’s Mayfair, Dukes London is immediately impressive in its historic grandeur. This beautiful part of London has long been a favourite with Royalty with many famous artists and writers musing away their days here. Dukes hotel bar is renowned for serving some of the very best Martinis in London – and since this is the location where Ian Flemming penned many of his James Bond novels – we love the solid nod to 007’s iconic tipple of choice. The doorman welcomed me in and Doinita at reception gave a warm greeting and a lovely tour of the hotels offerings. I was struck straight away by the gorgeous scent of fresh lilies, which continued throughout the hotel with fresh flowers in every area. 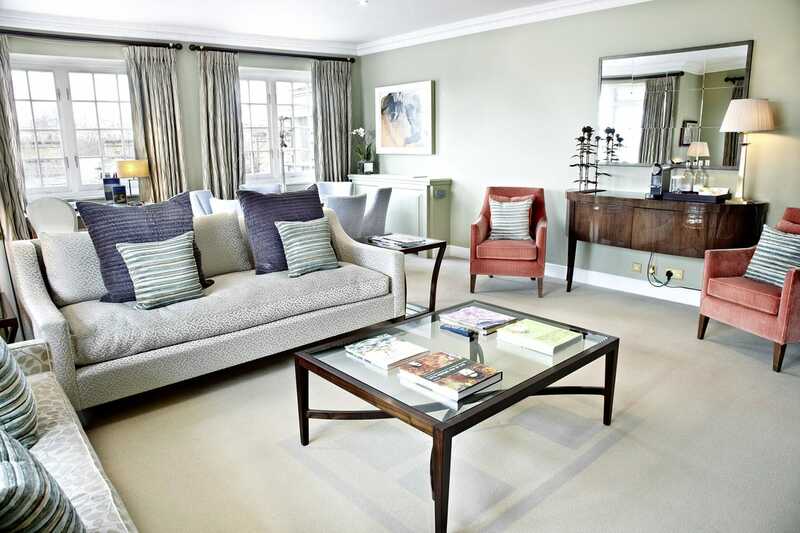 Every little detail was immaculately thought out, with no doubt about Dukes’ 5* luxury. Dukes values of commitment to a warm, welcoming and exceptional service is quintessentially British and it’s no surprise that they have secured the award for ‘World’s Leading Classic Hotel’ for six consecutive years. I was shown to the famous Dukes bar where I met Alessandro Palazzi, the cocktail extraordinaire in charge of producing the Dukes signature Martini. The hotel also offers a compact but perfectly equipped gym, steam room and treatment room where you can indulge in a variety of beauty treatments. The Cognac and Cigar Garden is a little slice of magic in the heart of the city and makes a perfect spot to while away a summer’s eve. I was then taken in the lift (with its lovely blue upholstered seat) to the 2nd floor where Doinita settled me into the Duchess of Cleveland Suite. The suite was absolutely stunning, and it was fabulous to be greeted by ambient music and lighting, all the lamps lit, and the high ceilings illuminated. A robe and slippers awaited me along with Floris toiletries ready for a relaxing bath sipping my chilled Sancerre from the mini-bar whilst the music played from the living room. Fresh lilies adorned the dining table, beside a lovely personalised welcome card and Dukes homemade white chocolate and cranberry muffins. 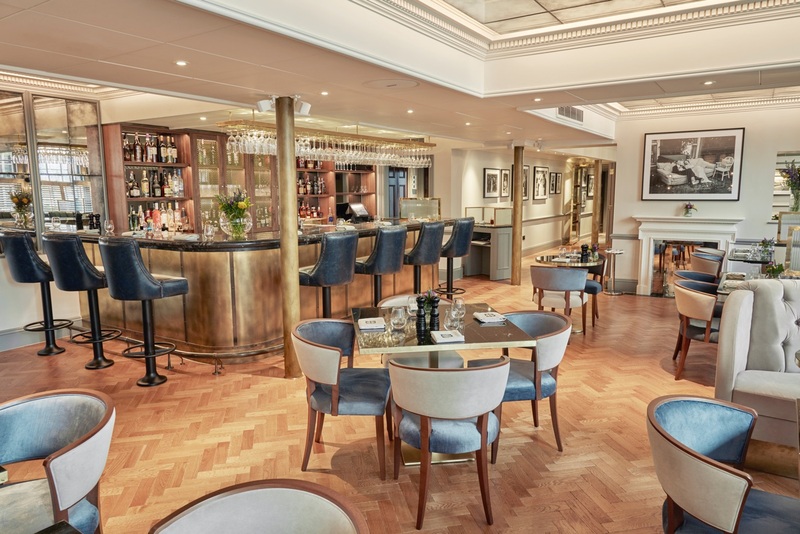 Guests can dine at the fabulous GBR restaurant; with Executive Head Chef Nigel Mendham, at the helm, who oversees a selection of menus featuring traditional British dishes with a creative and contemporary spin. The brilliant bottomless lunch is a great way to spend a Saturday in Mayfair, and for an intimate evening dinner there is a 12-seat private dining room. Despite many dining options vying for my attention, I actually decided to make the most of my super-luxe suite and opted to order room service. The generous menu was all very enticing and I decided on an endive salad, prawn cocktail, charred broccoli with almonds, and polenta sweet potato fries. Within 20minutes my butler arrived, carefully laid out a crisp white tablecloth and tableware and laid out my feast with such finesse that I felt like I was dining, not in my hotel room, but actually in a fine dining restaurant- a real treat when still in the comfort of my robe and slippers! The food was delicious, the goats cheese to die for, and the fresh bread basket a heavenly treat. With a full tummy I took my pampered self to my super king-size bed, snuggled up in the Egyptian cotton sheets and chose a film from the movie offerings, although being so comfortable I only managed ten minutes before falling into a very deep sleep. My wakeup call with newspaper was early as I’d planned to use the gym facilities, however the bed was just too tempting so I made an espresso from the machine, and sipped that in my sea of pillows with my paper before heading down to GBR for breakfast. The breakfast menu was so great that it took me a while to choose – I’m not often given so many options when trying to select healthy gluten free meals but the menu catered for all! The service was again impeccable and the waiting staff made me feel like the only person in the room with their personal attenmtion. I sat and sipped fresh orange juice and tea whilst taking in the gorgeous surroundings. My fruit salad was a dreamy mix of dragon fruit and melon and was followed by a heavenly banana, peanut butter and chia pudding. I could have eaten my way through everything as breakfast is my favourite meal of the day but sadly commitments meant I had to make a hasty checkout. Dukes did not falter at any point in delivering the most comfortable and special stay in St James’ and I would absolutely give them 6 stars if such was possible!